Ships tomorrow if you order in the next 19 hours 45 minutes. 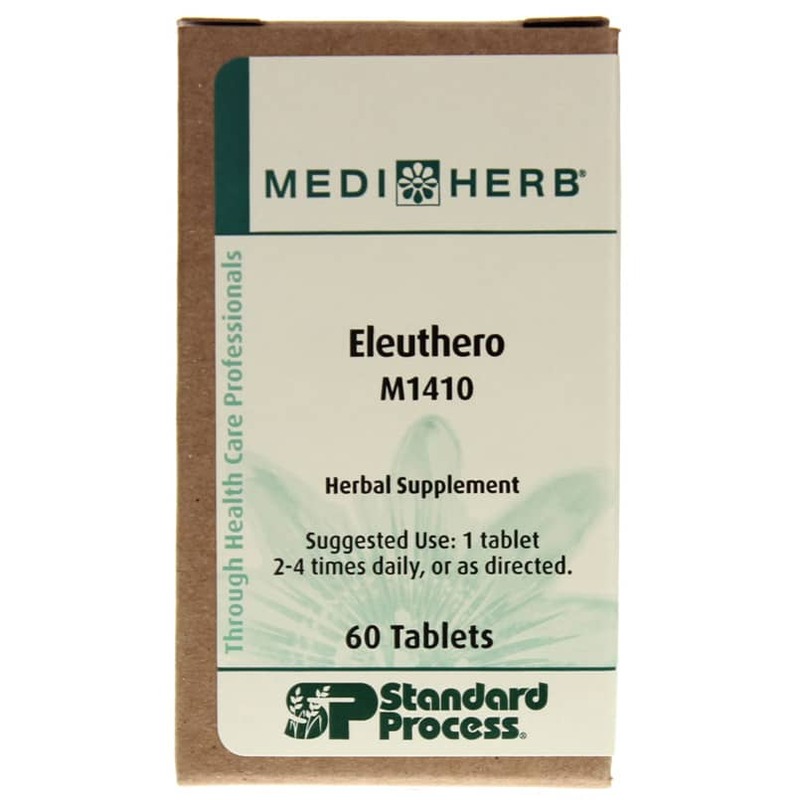 Eleuthero 1:2 by Standard Process is an herbal supplement that contains a diverse group of constituents called eleutherosides, triterpenoid saponins and other compounds. 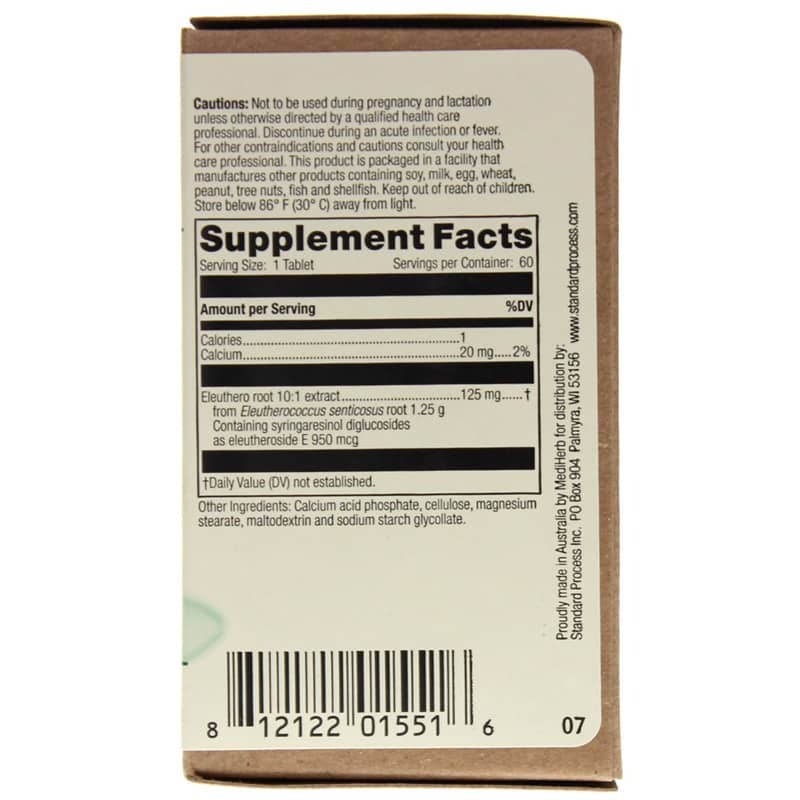 This product is standardized to contain 950mcg per tablet of eleutheroside E to ensure optimal strength and quality. Other Ingredients: Calcium acid phosphate, cellulose, magnesium stearate, maltodextrin and sodium starch glycollate. Adults: Take 1 tablet 2 to 4 times daily or as recommended by a healthcare professional. Not to be used during pregnancy and lactation unless otherwise directed by a qualified health care professional. Discontinue during an acute infection or fever. Keep out of the reach of children. Thank you for offering Eleuthero at a more reasonable price.